Bringing a gift for your friend, relative, business partner, or host is a good idea. Your gifts may vary due to the nature of your visit. Giving gifts are an important way to build relationships in China. Chinese are fond of items that are not easy to access. For example, items that are hand-made from your country, or that are highly valued. Chinese do not usually open gifts when they receive them. 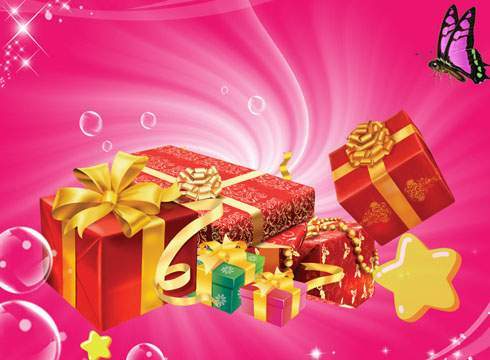 You should not open a gift given to you unless they insist. Some Chinese people will decline a gift two or three times (sometimes even more) before accepting. Do not give up on the first try, but be sensitive to genuine refusals. Do not give knives, scissors as they symbolize breaking a relationship. You should also avoid giving clocks, or anything in sets of four. Because the phrase “送钟"(give a clock as a gift) sounds like “送终"(hope someone die) in Chinese. However, it does not apply to watches, just clocks. And four is an unlucky number as it sounds like “死"(sǐ) in Chinese. Six, eight and nine are a lucky numbers. Never slice a pear in two and offer a half to someone (especially if you like them). This is a symbol of breaking up, because “分梨" (fēn lí, cut a pear) sounds like “分离"(fēn lí, break up). 1. For business relations, foreign cigarettes, cognac, fine whiskey, and quality wines are great gift ideas. 2. If you love someone, you can buy them a belt. It means that you want to “hold them” forever! Watches and wallets are also good gifts for lovebirds. 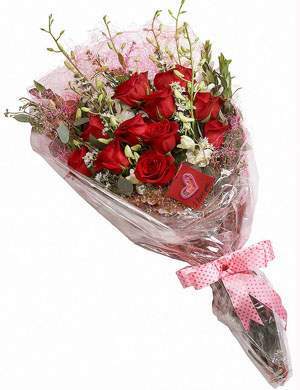 Nowadays, traditional western "love” gifts (like chocolate and roses) are becoming more common. 3. On Mid-Autumn Day, you should give a box of moon cake and give walnuts. Flower arrangements are an acceptable gift, but never give white chrysanthemums for they are traditionally used for funerals. 4. Giving an apple basket is nice because apple (píng guǒ 苹果) sounds like peace (píng’ān 平安). 5. If someone has just moved into a new house, it would be appropriate to give a vase (huā píng 花瓶), as it also sounds like peace. 6. 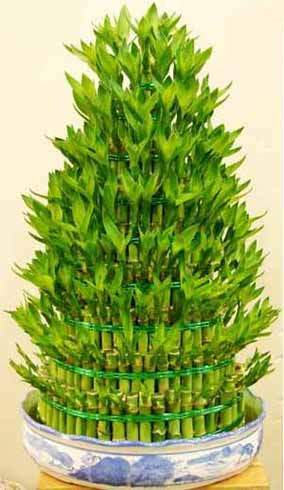 If someone opens a store or starts a business, give the bamboo flower as a gift. By giving this gift, as represented by the many rings in the bamboo stem, you are wishing them continual growth and income. 7. Gifts can be wrapped or presented in a gift bag, but do not choose the color white. Red or gold is the best color for gift paper, bags, or boxes.